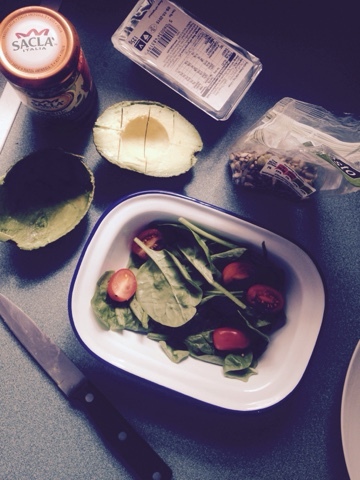 I've got a fave new lunch and I know you're going to love it too. 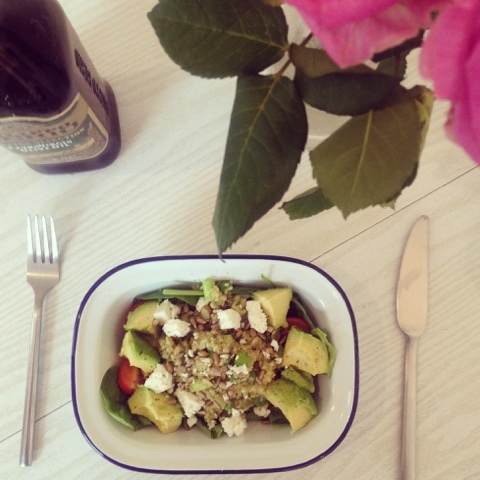 It goes by the name of Pesto & Goats Cheese Bulgur Wheat Salad. If you haven't tried bulgur wheat before, you're missing out. It's like rice but better for you and it contains heaps of fiber and vitamin B. It has a nutty flavour and is very easy to make tasty. You will find it in a lot of popular middle eastern dishes like tabbouleh and yummy salads. 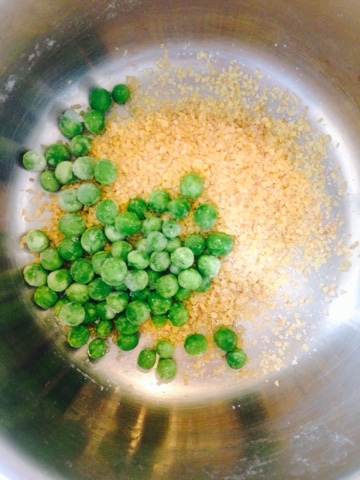 Cook your bulgur wheat with the peas and a sprinkle of salt for about 10-15 mins. Once cooked, add a glug of olive oil, pepper and your spring onions. Give it a stir. Add a big tablespoon of pesto and mix it all up. Make your salad and put a generous helping of bulgur wheat in the centre. Sprinkle your mixed seeds and crumble your goats cheese over the bulgur wheat - Try to do this when the bulgur wheat is still hot so the cheese goes all soft and delicious. Finish with a drizzle of olive oil and a pinch of crushed pepper. 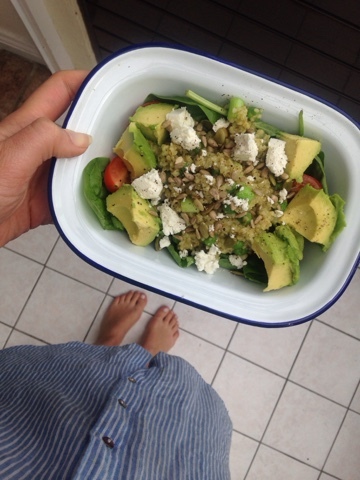 And hey pesto, you have one of the tastiest lunches EVER. It is also very delicious with grilled chicken for all you carnivores out there. Tip: I would recommend making a big batch because whoever you live with will steal some, it also tastes great cold so is perfect for your lunchbox too.